 Welcome to the Blossom Music Tree family! Please take a moment to review our center policies. If you have any questions, please feel free to contact Daveen DiGiacomo, Director, by phone at (323) 333-6646, or email. There is a $25 cancellation fee for all withdrawals after registering. No tuition refunds are given for class withdrawals ONE WEEK prior to the 1st day of class. Only under extenuating circumstances can a credit be issued towards a future session one week prior to the 1st day of class, with approval and review of the director. We understand that sometimes unexpected things happen. However, please note that non-attendance does not constitute a withdrawal from class and a refund or credit. We have a generous Make-Up System which allows families to make up missed classes! If you miss your regularly scheduled class for any reason, you may schedule a make-up class. Make-up classes are allowed for each registered child, on a space-available basis. Make-up classes must be taken during your current enrolled semester and cannot be carried over into another session or revert to credit/refund. You may schedule your make-up class as soon as you know you're going to miss a class. We often see an end-of-semester rush, so try to schedule your make-ups as early as possible to avoid disappointment! To schedule a make-up class, use your online make-up scheduler. This requires a passcode that you will receive upon the first day of class. You may search for a class by time or day and the scheduler will display the available options. If a given class is not displayed as an option for a make-up, it means all make-up spots for that class have been assigned; please schedule your make-up for a different class or check back later to see if a spot becomes available. If you know you will not be attending a previously scheduled make-up class, please cancel it so the spot becomes available for another family. Parents, grandparents, and caregivers are welcome to attend class at any time- no need to ask. Whole family music-making at home is extremely valuable to your child's music development, and attending class occasionally helps family members feel more comfortable joining in. Only registered children are allowed to attend our classes. Because our programs are education based, we don't have 'drop-ins'. Although, if you have a friend who would like to try out a class, please have them contact the director to make an arrangement! The health of all classroom participants is important to us, so we take measures to ensure the cleanliness of our classroom and limit exposure to germs. We take time to sanitize our classroom space, instruments, and materials after each class with a child-safe cleaning solution. Hand sanitizer is available in class, and we ask caregivers to separate instruments into the "wet box" after they have been mouthed. If you or your child is sick, please stay home from class and schedule a make-up. Throughout the semester, classes may be in session when older siblings have a school holiday. and parents may be in a bind for childcare. Under these circumstances, we can allow an older sibling to come one time for the session. These visitations musit be prearranged from the director and spots are only avialable on a 1st serve basis.